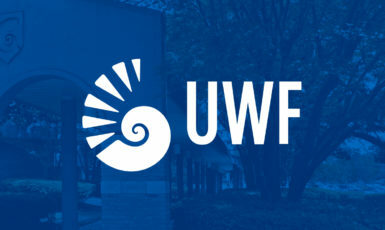 The University of West Florida welcomed its second consecutive class of National Merit Finalists this fall, for a total of seven students enrolled to date. James Henderson, Mason Hutchinson, Fiama Mastrangelo and Joshua Wood were among approximately 15,000 students across the country to meet the requirements for Finalist standing, out of more than 1.6 million juniors who entered the 2018 National Merit Scholarship Competition. They were awarded UWF’s highest scholarship, including full tuition, room and board, a $600-per-semester book stipend and a research stipend, for a total value of more than $50,000. As she approached graduation from Gulf Breeze High School, Mastrangelo said she toured the gamut of colleges and universities, both in Florida and out-of-state. It wasn’t until she met with the psychology department at UWF that she found the perfect fit. After an injury in basic cadet training forced Henderson to re-work his plans to attend the Air Force Academy this fall, he found himself contacting several university admissions departments to inquire about late admission. 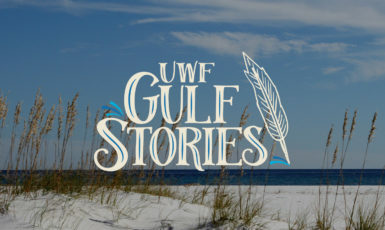 UWF’s culture of helping students made his decision easy, along with a full-ride scholarship that places research opportunities and study abroad right at his fingertips. For Wood, a graduate of Pensacola High School, there was no waiting to start his education at UWF. During his senior year of high school in Fall 2017, he enrolled at the University as a degree-seeking student, giving him a head start in pursuing a degree in mathematics. Hutchinson, a computer and information science major and member of the Kugelman Honor’s Program, said the primary factor in his decision to attend UWF was the Center for Cybersecurity, as well as the opportunity for a quality higher education without the financial burden. 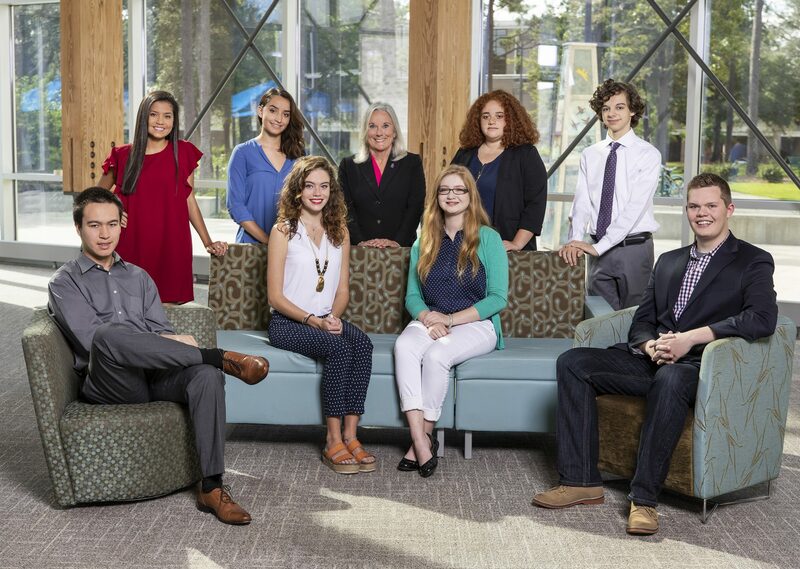 Additionally, the University hosted its President’s Scholarship Competition, which awards top Florida high school graduates who show potential to serve as future leaders with the institution’s most prestigious scholarships. The Pace Presidential Scholarship is offered in conjunction with Florida Bright Futures and covers on-campus room and board, tuition, a $600 book stipend and a research experience, totaling more than $50,000. Gianyce Gesualdo, biomedical sciences major and graduate of Gateway High School in Kissimmee. Isabel Holland, nursing major and graduate of West Florida High School of Advanced Technology in Pensacola. Eden Ridgeway, social work major and graduate of Pace High School in Pace. Matthew Sharpsteen, political sciences and pre-law major and graduate of JM Tate High School in Pensacola. Olivia Stanhope, biomedical sciences major and graduate of West Florida High School of Advanced Technology in Pensacola. For more information about the 2018 premier scholarship recipients, visit uwf.edu/topscholars. For more information on all undergraduate scholarship opportunities, visit uwf.edu/admissionsawards.